The Amish Carlisle Bench brings with it a dining bench with gently curved legs and solid construction to your dining room furniture collection. 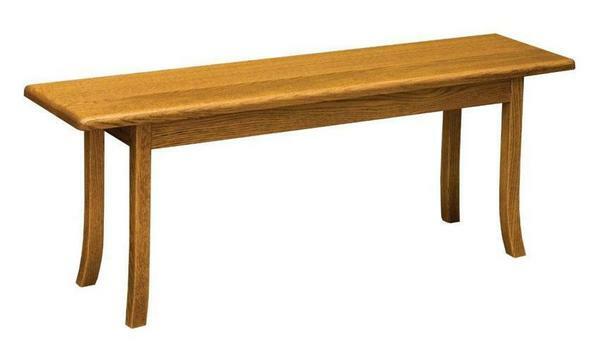 Enjoy your daily meals and family functions with this custom made bench providing a comfortable seat. Most often used in the dining room, a solid wood bench contributes to many areas beautifully. Width: 24", 36", 48", 60", or 72"